Wes McCauley is the most well-known official in the NHL and it's not even close. The 46-year-old has been an official in the NHL since the 2005/06 season, but it's his dramatic calls after video reviews that have endeared him to hockey fans everywhere. 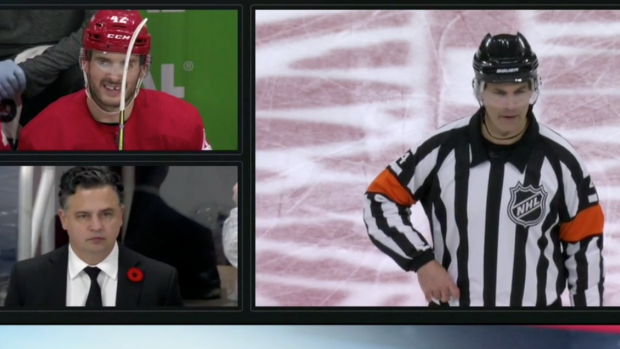 Tuesday night, McCauley was back at it again as he brought the drama to an offside review in the Red Wings and Canucks game and it was absolutely incredible. Is it McCauley's most dramatic call ever? No, but this one is in his top-ten for sure and when McCauley is on his game making calls like that, the NHL is a better place.